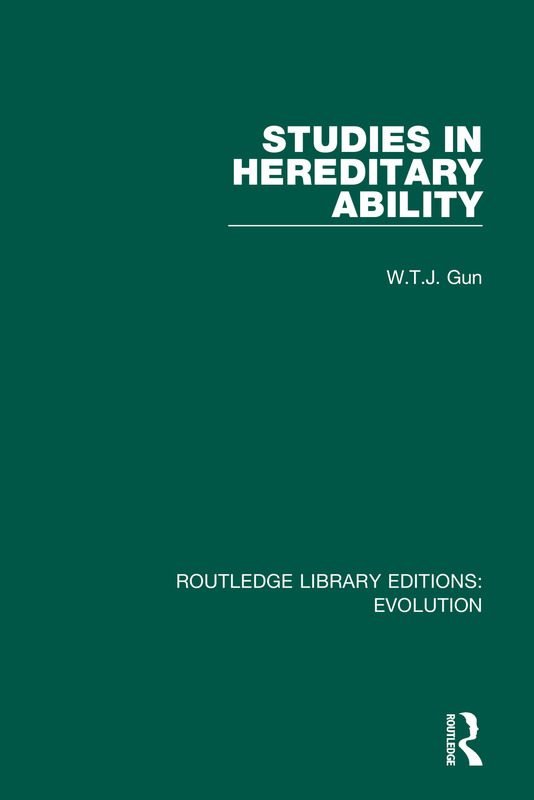 Originally published in 1928, Studies in Hereditary Ability studies the genealogy of great families of Britain and America and examines how their ancestors influenced their genetics and who they subsequently ended up becoming. The book examines the descent of ability through both maternal and paternal lines, and seeks to argue that from both sides, there stems an equal chance of inheritance. At the time of publication maternal genealogy was relatively unexplored and the book examines the influence of the maternal line on hereditary genetics, as well as the early influence of the mother on a child’s environment. The book also examines the links between leadership and intelligence, and maps the genealogy of writers, scientists and artists, and proposes that these notable figures were more likely to have had notable relatives. Although very much of its time, the book will provide a unique and interesting read for social historians, anthropologists and genealogists alike.